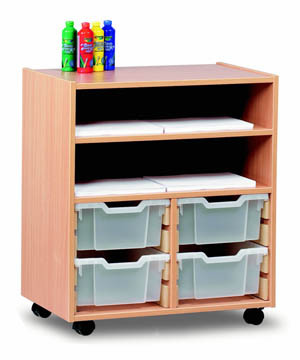 Professional quality planchests are available as mobile or static units. 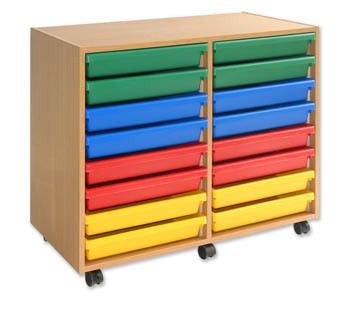 Manufactured in a high quality 18mm solid MDF with a choice of five laminate colour finishes. 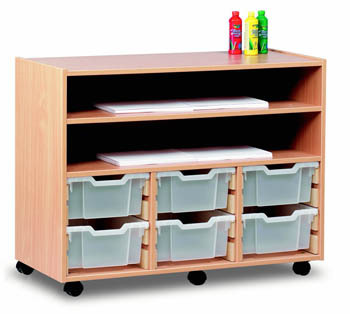 Each unit has metal runners and bump resistant plastic edges.  Due to the weight of the individual units, certain choices will be delivered as two items (sections) - they connect together with the fittings supplied. 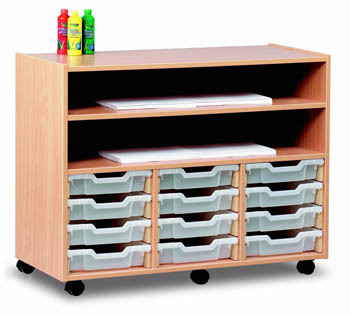 Manufacture from beech melamine faced board with pvc edging and with four castors for ease of movement. 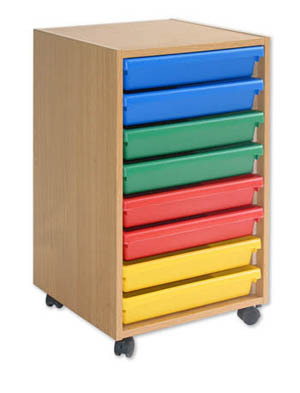 Three shelves will accommodate paper up tp A1 size with three trays supplied to fit into the upper split shelf providing useful additional storage. 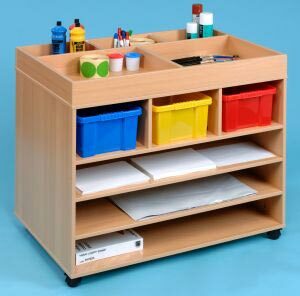 The top of the unit is segmented into five areas offering organisation and storage for art supplies. Supplied plat-pack for easy self assembly. Accessories not included. Designed to carry A3 sized papers these units are manufactured in the UK and delivered fully assembled.